Spirit: Realism, Sports, Action, Talent. Places to visit: Germany, Tunisia, Antarctica. Things to learn: Opera Singing, Sculpting, Aikido. 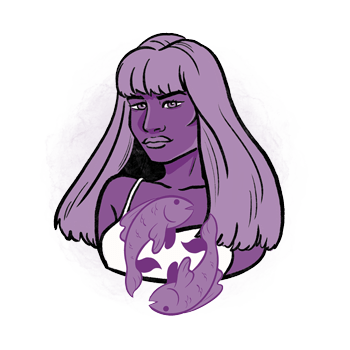 This is an energetic and important year in the world of Pisces, when your goals in life are to be reexamined and set in place, and your faith becomes the guiding light you’ve needed for a while. Believing in your own inner authority and setting free from dogmas of convictions of other people, you will finally create some healthy emotional boundaries and see the world realistically from a bubble of protection that allows you to see the bigger picture. Friendships are about to gain real quality and deeply unstable or traumatic experiences are about to be learned from, metabolized and finally something to be incorporated in your healthy foundation. Hard work is needed to jump onto the next level and become as realistic and truthful with your heart as you wish to be. Bravely pursue structures and desires found in your being, no matter what others might say along the way. This is a moment to believe in yourself, your guidance, visions and dreams, when you have a chance to act on them instead of simply feeling as a passive observer or a victim that everything crumbles upon. You are to remember your strength and reach the point of potent ability to protect yourself while chasing ideals that inspire you and drive your heart in this lifetime. 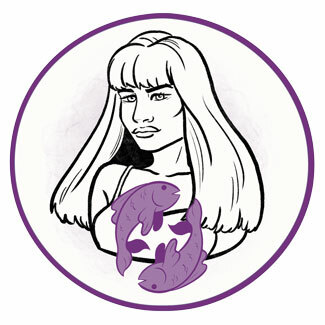 The task of Pisces representatives in 2019 is to reach the point of realism where they can act on impulse, show their constructive emotions even if they get angry and in ways destructive, and the challenge here will be not to step back into the shell once those emotions are out. Inadequacy of disturbing feelings could throw them from one shore to the other, through the process of the release of aggression that is meant to be used for self-preservation, protection and finally constructive buildups of the real world they wish to live in. These buttons will be pushed mostly in April and September. It is important not to get detached from reality, even if the dreamland calls on you and keeps your mind preoccupied with matters that spark your passionate heart to blossom within. Inner realities are to be manifested and lived on the outside too. Large processes are about to round up as the focus turns to plans that are constructive and true to the core of your being. This is a positive year to make professional progress and learn things that will make all the difference in your future endeavors. Support will come from superiors, teachers, and all those who seemed distant or too strict in the past. You are going to learn about your own structure and responsibility towards the Self, nurturing and protecting your most sensitive treasures, so they can be shown in the real world without the risk of getting hurt. For the most part, this should be a stable year when your health doesn’t present any chronic, large issues that cannot be resolved. Still, things that accumulated in the past are already there to be dealt with. They could grow, and you are to cleanse, check your vision, change glasses or deal with allergies in uncommon and alternative ways, especially during the summer months. Stiff and inflexible relationships could affect your hormones and reproductive organs in September, and you are to find inner balance, regulate your sleeping and eating patterns and habits to make things easier for your stomach and your entire body to digest. The beginning of the year turns your attention to yourself, your own strengths and powers, and won’t exactly be supportive of your love life if there are tangled issues of guilt that need to be resolved. Dishonesties, parallel relationships and idealistic views are possible in the springtime, especially in March when the retrograde move of Mercury creates some troubles in your first house. With the need to make something real out of your dreamland, you won’t settle for less than what you know is possible and shouldn’t get stuck in devaluing yourself to hold on to the real world in ways that don’t bring satisfaction to your heart. By the end of the year, new encounters are possible, as well as serious commitments, after the storms have passed and the skies are finally clear. Winter months bring stability and a greater sense of purpose to all your close bonds and family support that becomes obvious and stable to rely on. Saturn is in sextile with your Sun, from its most stable position in Capricorn and your eleventh house, and you are surrounded by the right social circle with enough intellectual support for large professional endeavors and attempts to make steps forwards. This is a time of endurability, when innovation is slowly handled and brought into the system, and you have a chance to work on your true talents and strivings within the structure you already belong to. With the blessing and protection from your authorities, you will get engaged in several different projects, learn, expand, travel, and move in new directions. Although this could preoccupy you and distance you from a secluded lifestyle, it will feel good to work on your future in a proactive and confident manner. Be careful who you trust during summer months, and turn to your inner sensations for all answers you need.